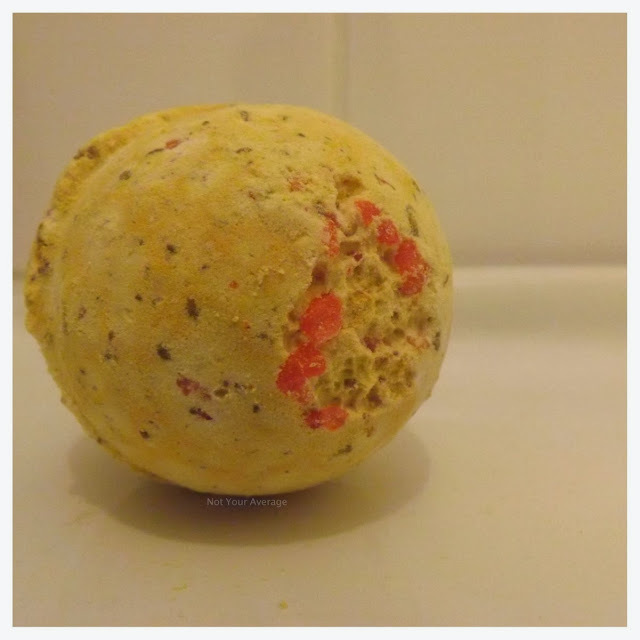 Here's the first of many reviews of the Lush Christmas Collection (you can see what I bought here) and unfortunately, it's not one of the best reviews i've done of a Lush product. I'm always so disappointed when a bath bomb doesn't go as I expect and turns out to be just a boring addition to my bath, and it's a shame to say that Cinders is exactly this. 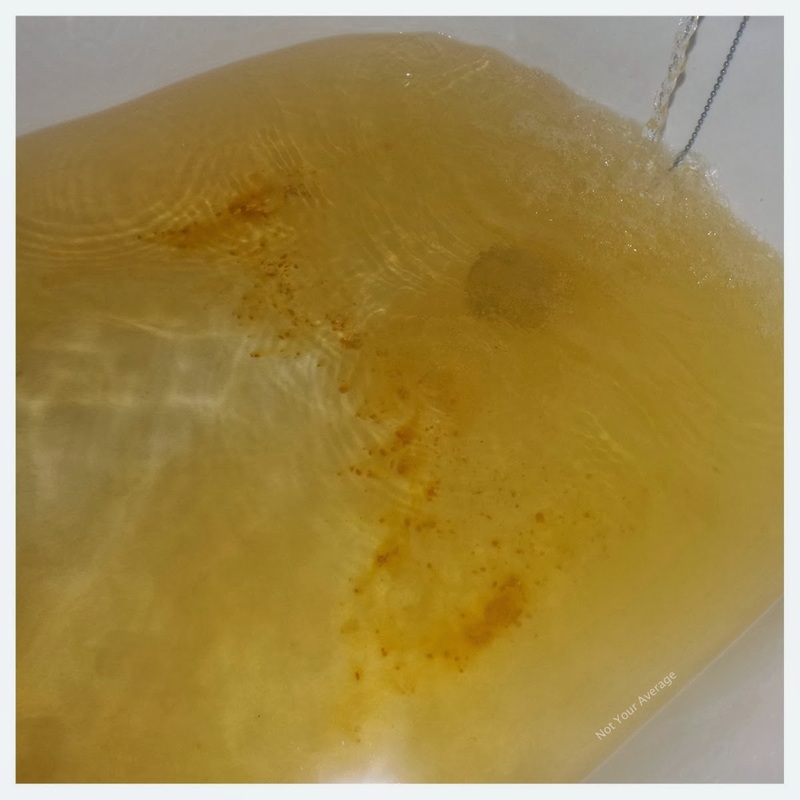 I was expecting a whirling of reds and yellows and crackling whilst it dissolved but I got none of this and it just ended up turning my bath a mustardy yellow colour, kinda looking like a bath full of wee! The crackles hadn't dissolved and just sat at the bottom of the bath and I couldn't really smell the 'fruit punch' fragrance it claims to hold. 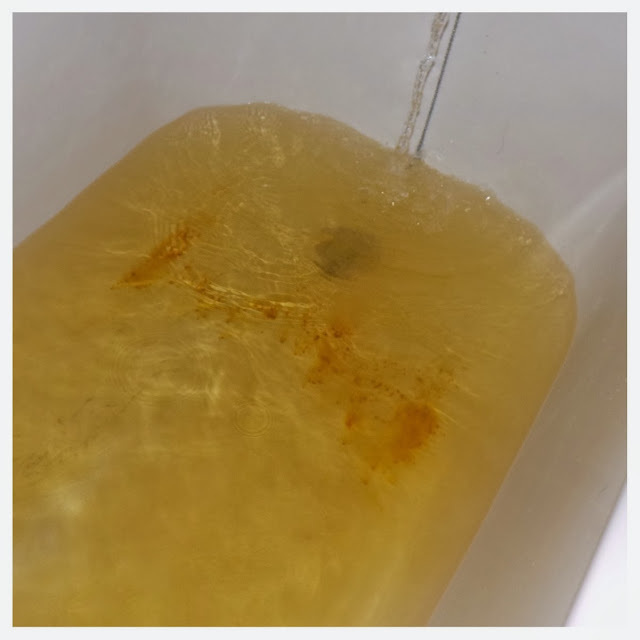 Once I let out the bath water, it also left a grubby yellow line around the bath that took a good bit of Jif and elbow grease to remove - not something I want to be doing when i've just got myself clean! However, it did have did leave my skin soft once I was dry, which is something I like as it means I don't have to moisturise! There are so many things I love from Lush but unfortunately Cinders, you are not on that list. You can buy Cinders here for £2.45 but I would save the disappointment and go for something else! Have you tried Cinders!? Was it the same for you!? Oh that's sad to hear it didn't meet its expectations. Thanks for the honest review, I might give this bath bomb a miss, xoxo. Ohh this is why I'm scared of bath bombs! The ones I've used always leave such a mess!